GeoMedia is a powerful and dynamic GIS platform for creating, updating, managing and analyzing organization’s valuable geospatial information from a variety of sources. Highly specialized functionality makes it ideal for extracting actionable information from an array of ever-changing data. User Centric Design: GeoMedia’s easy-to-use graphical user interface is well-organized and specifically designed to minimize mouse movement and button clicks to streamline your workflow, increasing productivity and reducing costs. Superior Data Access: GeoMedia gives you the freedom to spend less time trying to connect to your data so you can focus on what you want to achieve with it. No need to import, convert, or use proprietary technology to connect to spatially-enabled databases. 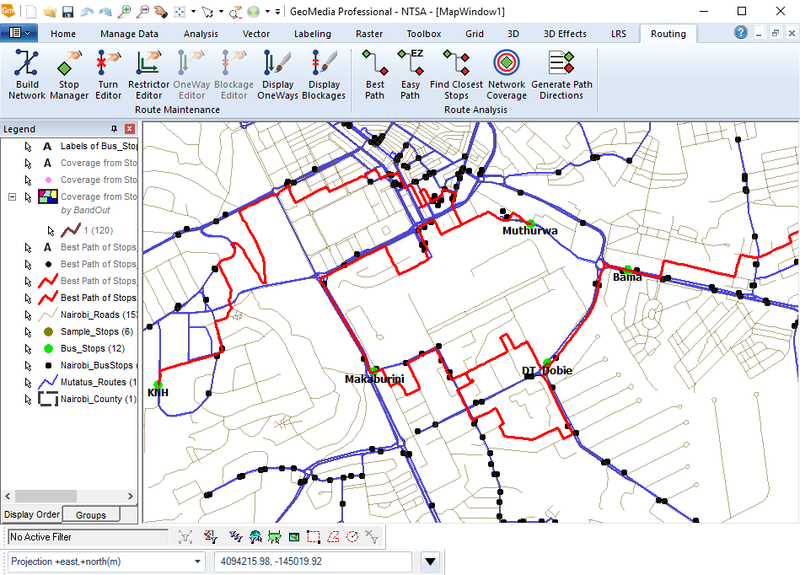 Spatial Modeling: Enhanced spatial data analysis by enabling users to easily create and run customized models for performing geoprocessing on feature data including functional attributes, topological analysis, geometry creation, and many more. Create Better Data Faster: Harness powerful tools to expedite the capture of high-quality data and automatically check records for quality and completeness. Sophisticated Dynamic Analysis: Leverage powerful analysis, like chained dynamic queries whose results update in-line with changes in the data sources or query parameters. Flexible Offering: GeoMedia is available in three product tiers. These tiers enable you to acquire the functionality you need. It also allows you to more easily adjust the scope of the software to match your GIS management needs, analysis requirements, and budget.